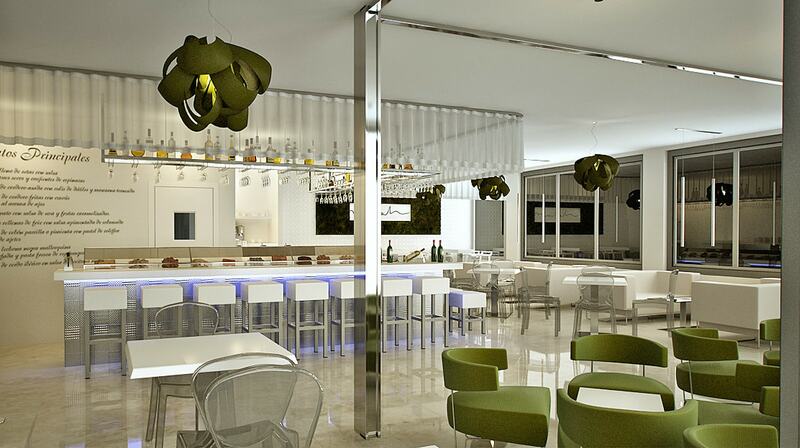 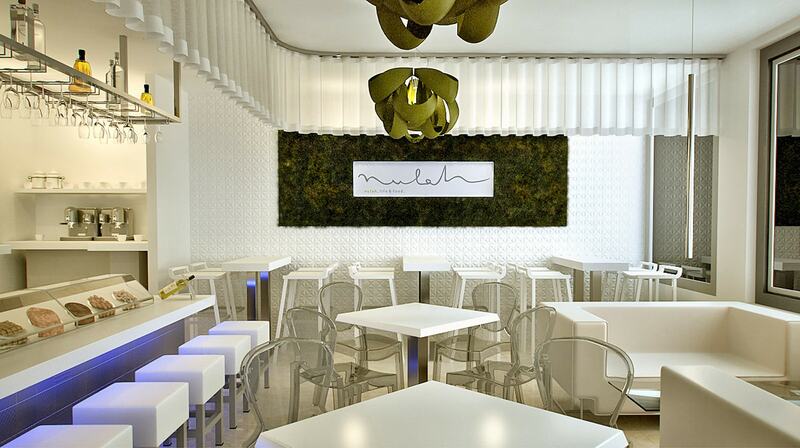 A modern and chic cafe in the port of Marbella, to enjoy the sunset and have drinks with the best company. 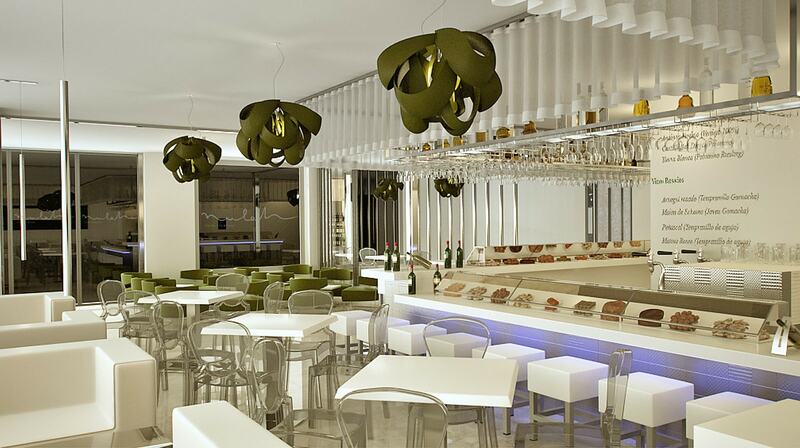 A Cafe with two different areas for various moods and occasions. 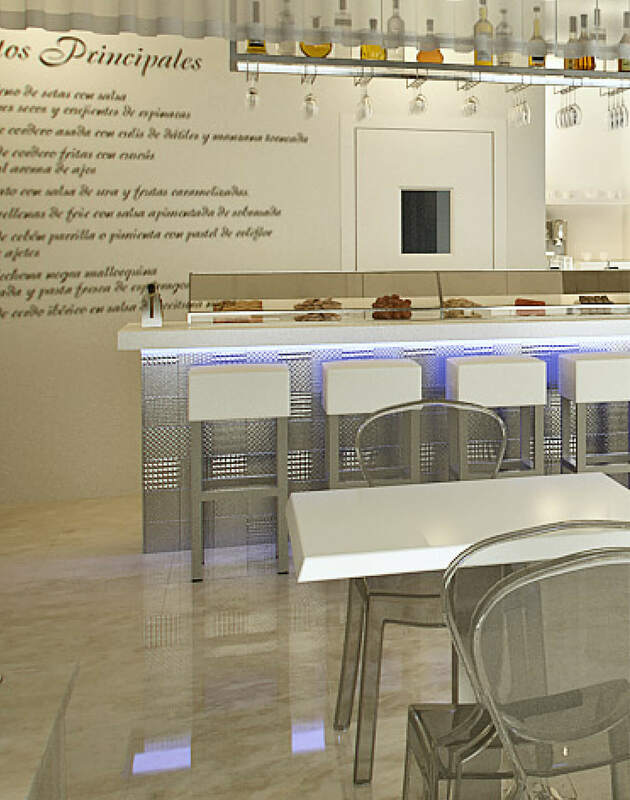 Seating areas presented are a choice of upholstered sofas with white imitation leather along with gray coffee tables which illuminate the space or circular low tables in aluminum and white lacquered wood. 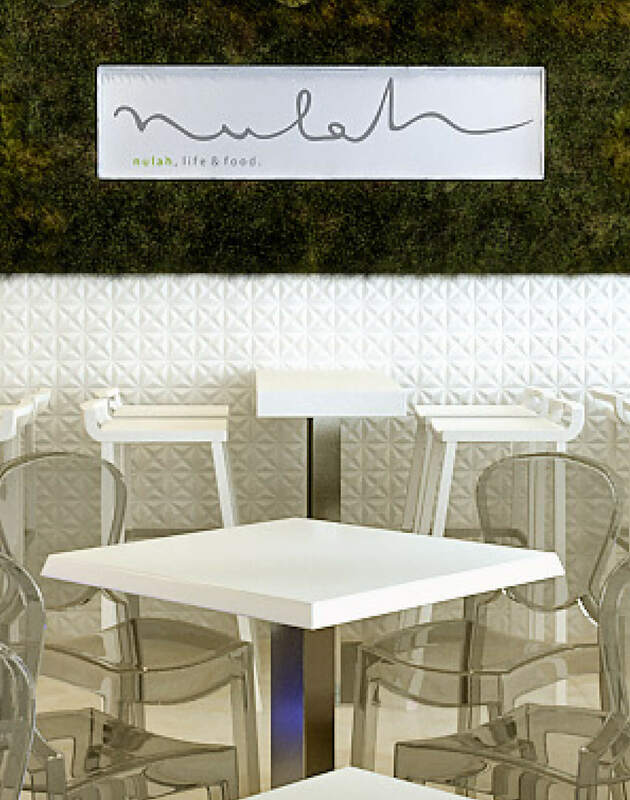 A modern and cozy touch was given with green ceiling lamps made of natural wood and the centerpiece of a logo that is framed by natural moss and decorative wooden panels with white geometric finish on the wall.